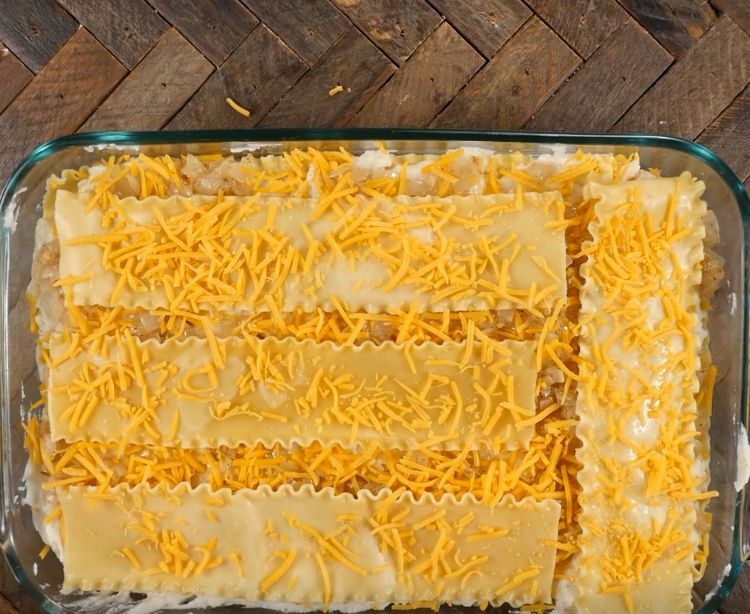 We know, mixing potatoes and lasagna noodles sounds a little bit weird. 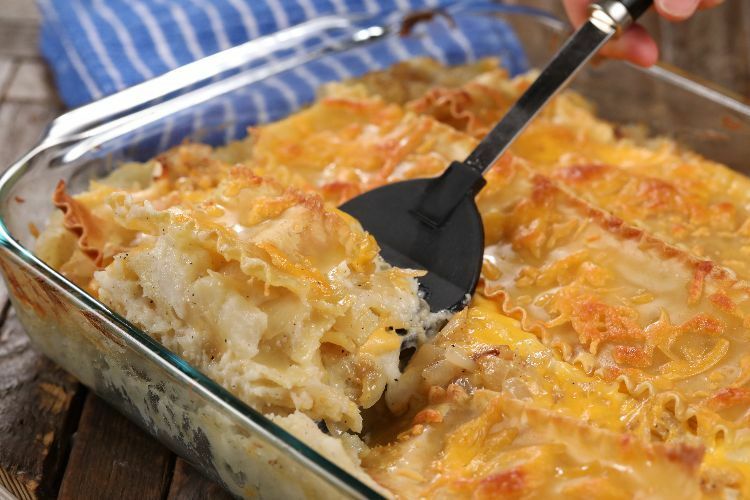 However, this delicious casserole turns out to be the perfect encounter of two delectable comfort foods that will please both your family and friends. Guaranteed! They'll fall in love with this Poland-meets-Italy Pierogi-inspired lasagna. In case you're not familiar with Pierogi, they're a delicious traditional Polish treat. They're something similar to a dumpling and the most traditional recipes stuff the pierogi with either sauerkraut, minced meat or mushrooms. Some other traditional Pierogies that are very common as well are the "Ruskie" or "Ruthenian" pierogis, filled with mashed potatoes, cheese and onions. 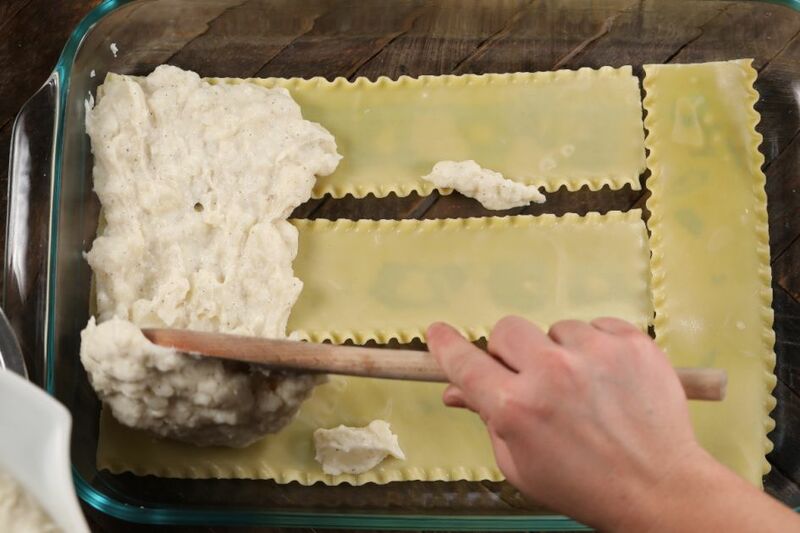 Well, what you're about to prepare for dinner would be a "Ruskie" lasagna, and it couldn't be easier or the result taste better. 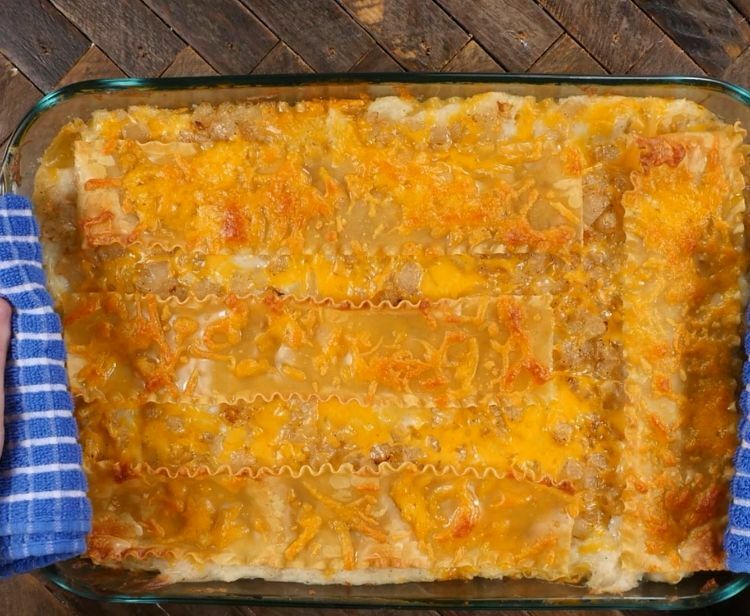 You'll need: mashed potatoes, lasagna noodles, grilled onions and grated cheddar cheese. 1. Put cut potatoes into a large pot and cover with water. Boil until the potatoes are soft when poked with a fork. Drain water. 2. 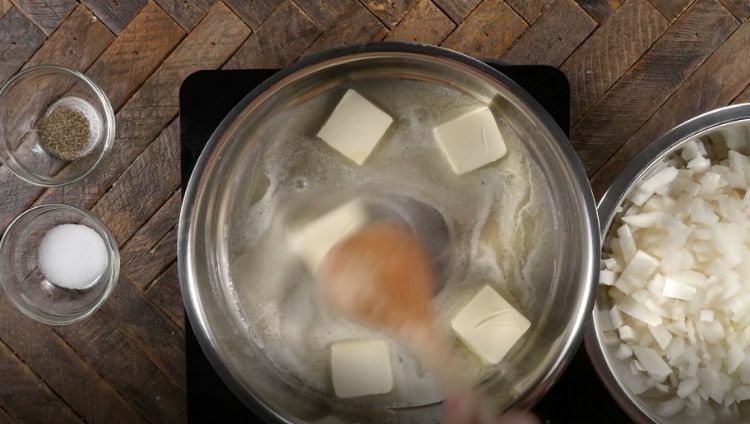 Add in milk, sour cream, butter, salt and pepper. Mash and stir until smooth and well-blended. Add more salt and pepper if desired. 1. 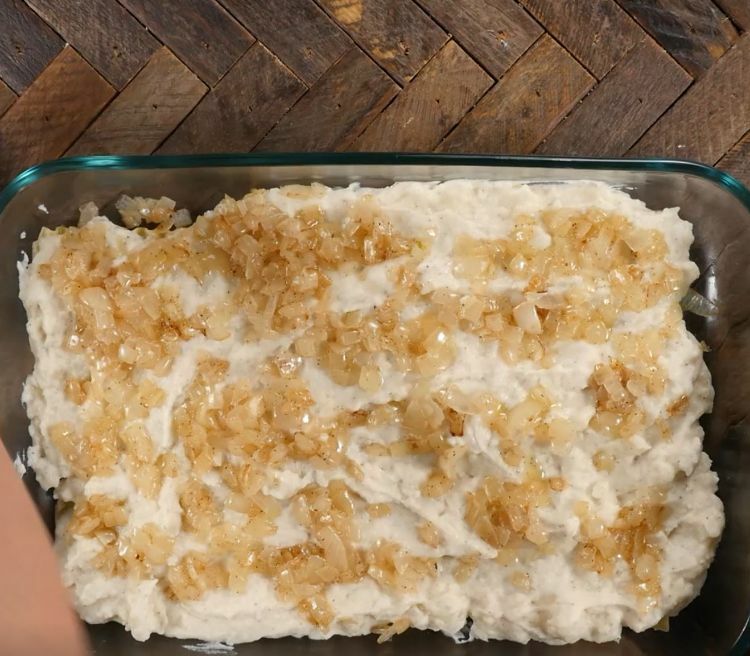 Lightly grease a 9x13 casserole dish and preheat an oven to 375° F (190° C). 2. In a skillet over medium heat, add butter. 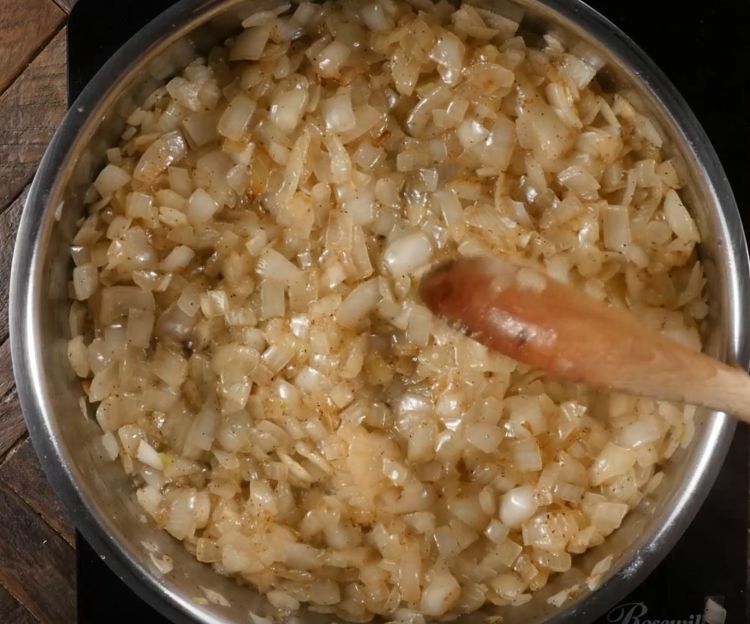 Saute the onions with butter, salt, and pepper until the onions are brown and soft. 3. 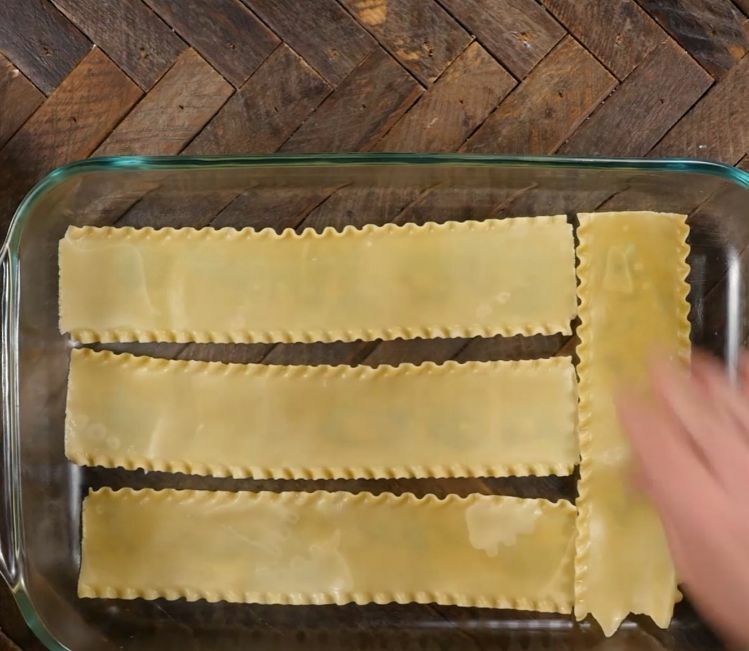 Place a single layer of cooked lasagna noodles in the bottom of the casserole dish. Evenly spread 1/2 of the mashed potato on top of the noodles. Spread 1/2 of the buttered onion on top of the potatoes. 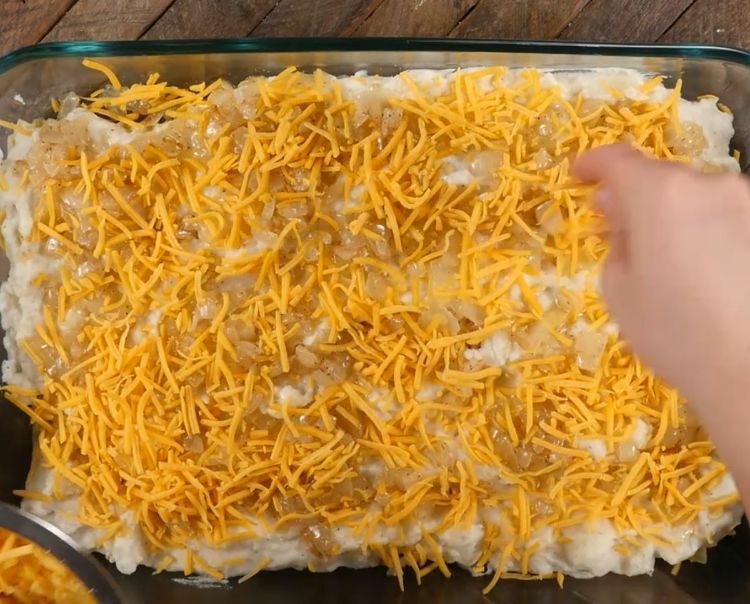 Then, sprinkle 1/3 of the shredded cheese on top. Repeat layers once more, then top with a final layer of noodles and the remaining cheddar cheese. 4. Bake for 30 minutes, or until the top is golden and bubbly. 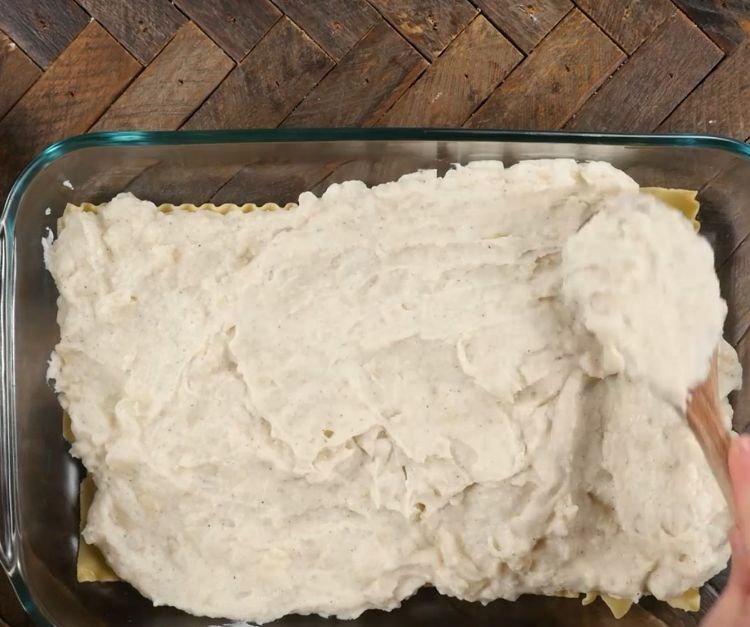 The top of the casserole will look like the below out of the oven. Voilà! Yes, you've made this beauty yourself and, believe me, it tastes much better than it looks! Pro Tip: You can give your Pierogi-inspired lasagna a final touch by garnishing it with sour cream and green onions. Be sure to watch the video below if you want a live step-by-step and don't forget to SHARE this recipe with other food enthusiasts like yourself!